A set of 51 proportionally-sized pieces representing a whole, halves, thirds, quarters, fifths, sixths, eighths, tenths and twelfths in 9 distinct colors with printing on each piece. Packaged in a sturdy plastic case. A whole measures 8.7 cm diameter. 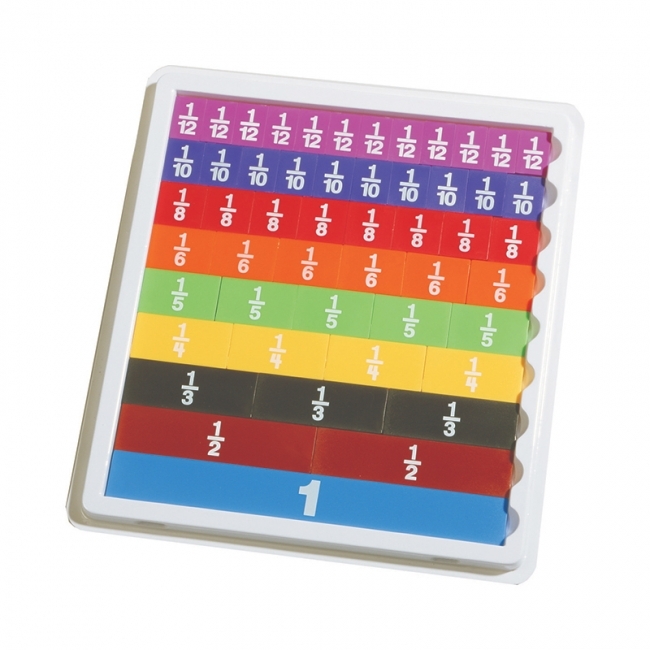 Color-coded tiles expand the learning of fractions and decimals. 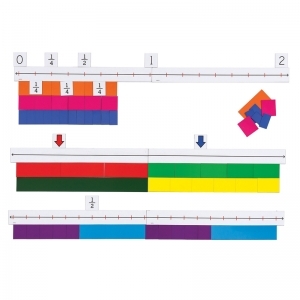 Double-sided tiles ease comparisons between fractions and decimals. 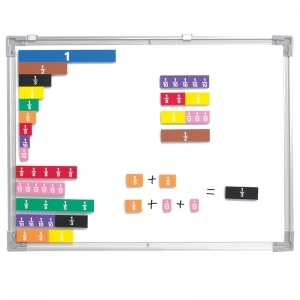 Includes 51 double-sided pieces in 9 colors representing 1, 1/2, 1/3, 1/4, 1/5, 1/6, 1/8, 1/10, 1/12. Fractions printed one side / decimals on reverse. Includes storage tray. Color-coded tiles expand the learning of fractions and decimals. 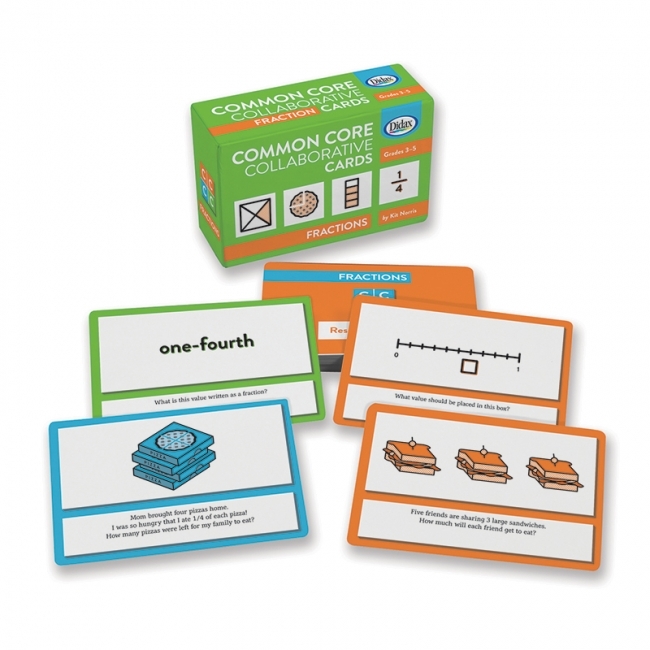 Double-sided tiles ease comparisons between fractions and decimals. Includes 51 double-sided pieces in 9 colors representing 1, 1/2, 1/3, 1/4, 1/5, 1/6, 1/8, 1/10, 1/12. Fractions printed one side / decimals on reverse. Visually reinforce fraction understanding and build confidence when working with fractions and mixed numbers. 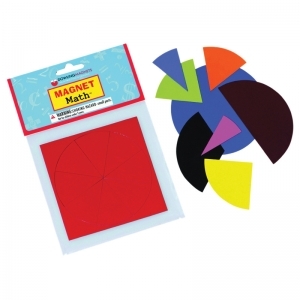 Thick foam makes it easy to remove these colorful magnetic pieces from white boards. 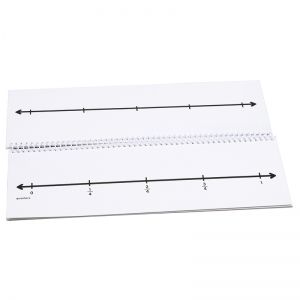 Thin layer of magnetic material adheres to whiteboards with metal backing. 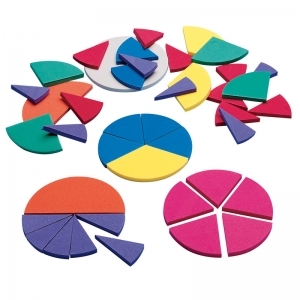 Giant Fraction Tiles are perfect for classroom demonstration. 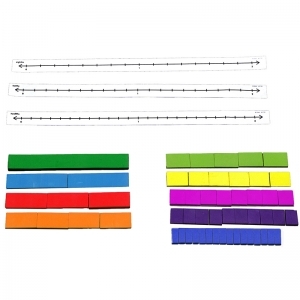 Color-coded to match other Learning Advantage fraction materials. Set of 51 proportionally-sized, color-coded, foam pieces representing a whole, halves, thirds, fourths, fifths, sixths, eighths, tenths, and twelfths. The piece representing one whole measures 8" x 1". Have students illustrate equivalent fractions or show addition and subtraction of fractions with these heavy vinyl mats (9" x 12"). Use with or without standard fraction pieces; each mat has fraction circles and an open number line on one side and fraction squares and an open number line on the other. 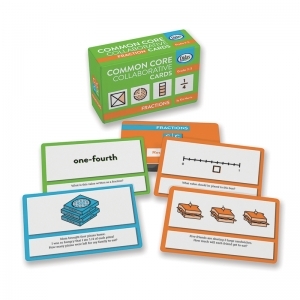 Set of 10.Grades 3-4. Designed to be used with our Magnetic Fraction Number Line, these blank fraction tiles give students hands-on practice. Includes ten sets of fraction tiles. Each fraction tile set features 55 color-coded, foam pieces representing a whole, halves, fourths, eighths, sixteenths, thirds, sixths, fifths, and tenths. 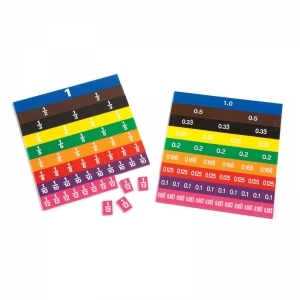 Also included are ten each of three adhesive write-on, wipe-off number lines (1" x 18"): eighths, tenths, and twelfths. Includes teaching notes. 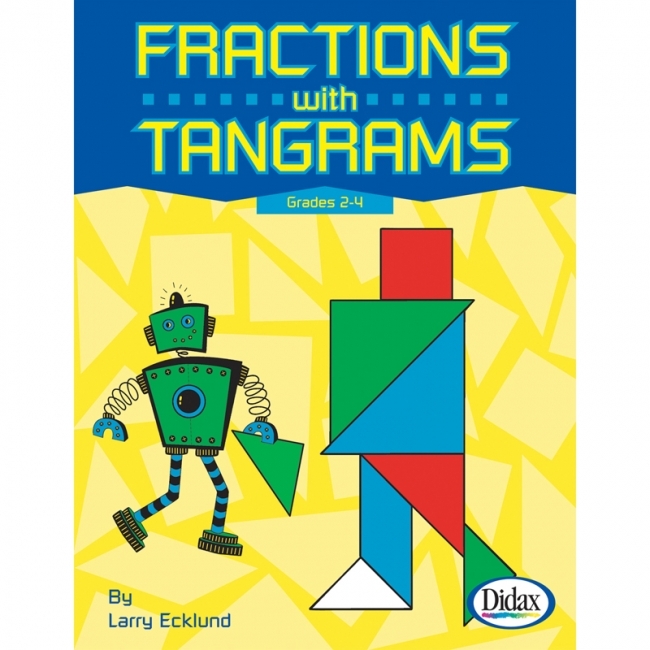 Your students will be "flipping" over fractions with this versatile write-on/wipe-off book. 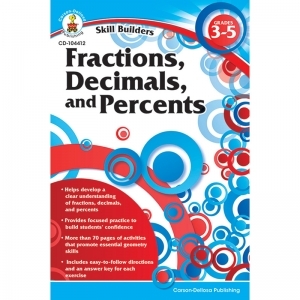 Students can use the 18 different fraction number lines featured in this book to solve a wide variety of fraction, decimal, and percentage problems. 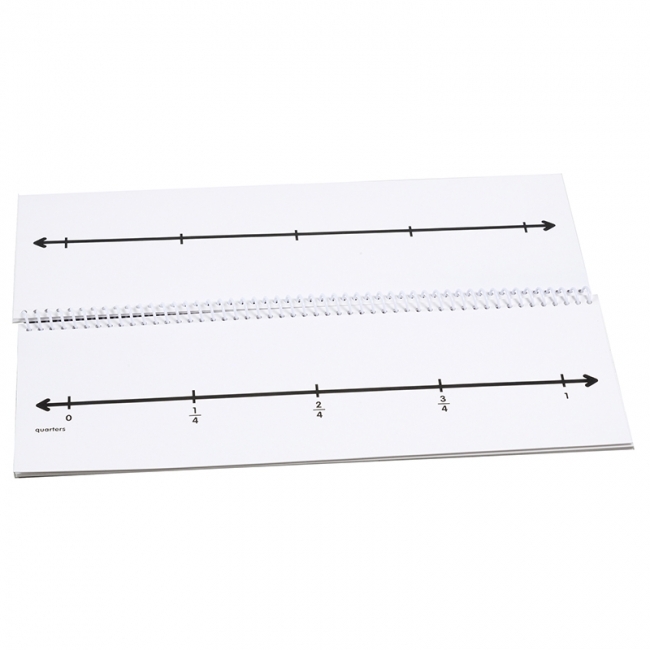 Durable spiral-bound book is 4" x 12" and includes lines featuring thirds, quarters, fifths, eighths, tenths, twelfths, sixteenths, percents, as well as blank lines (single and dual). 20 pages. 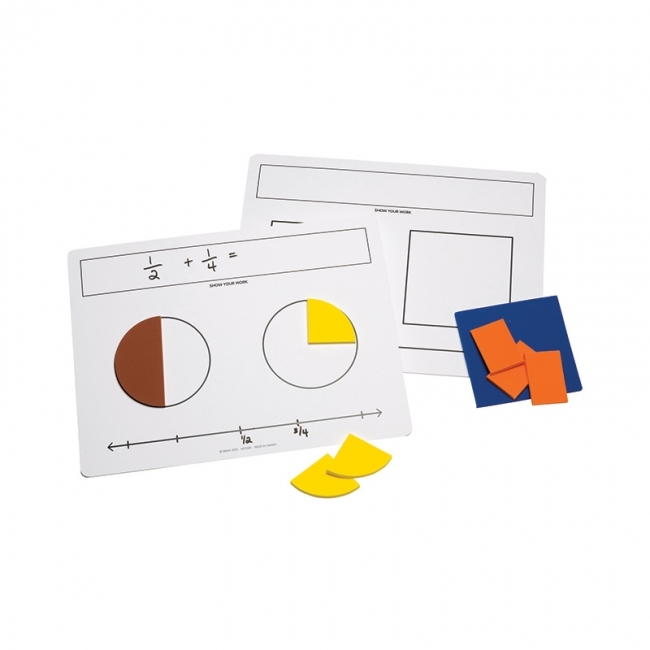 Students "get" the concept of fractions more easily and permanently working with these tangram activities. 42 hands-on blackline masters provide practice with halves through sixteenths, equivalents, congruence, angles and area. Includes answers and solutions, teacher notes and masters for tangrams. May also be used with plastic tangrams (not included). Nine color-coded squares in fractions of 1/2, 1/3, 1/4, 1/5, 1/6, 1/8, 1/10, 1/12 plus a whole. 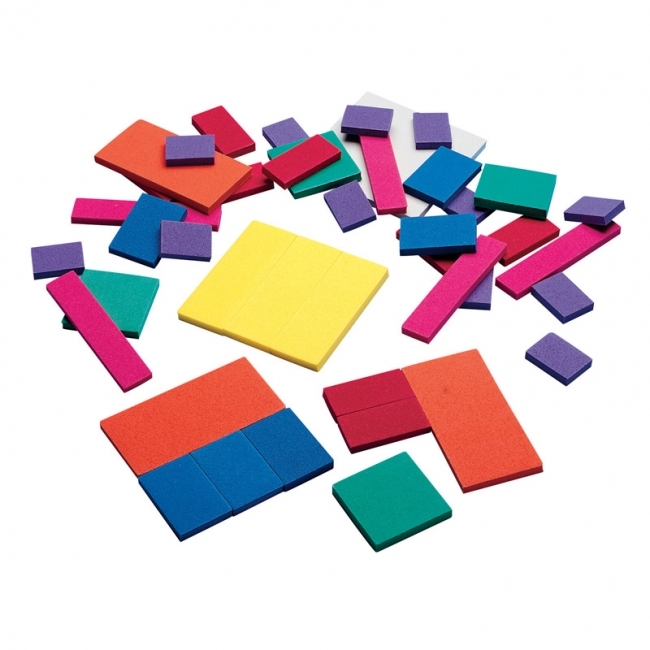 Made of dense foam, these squares are easy to handle and stay put nicely. 51 pieces in bag, 1/2 cm thick. Eight color-coded circles in fractions of 1/2, 1/3, 1/4, 1/5, 1/6, 1/8, 1/10, 1/12 plus one whole. Made of dense foam, these circles are easy to handle and stay put nicely. 51 pieces in bag, 1/2 cm thick. Set has a 3.5" diameter. Classic, color-coded fraction manipulatives are magnetic and perfect for student-size magnetic boards (sold separately). 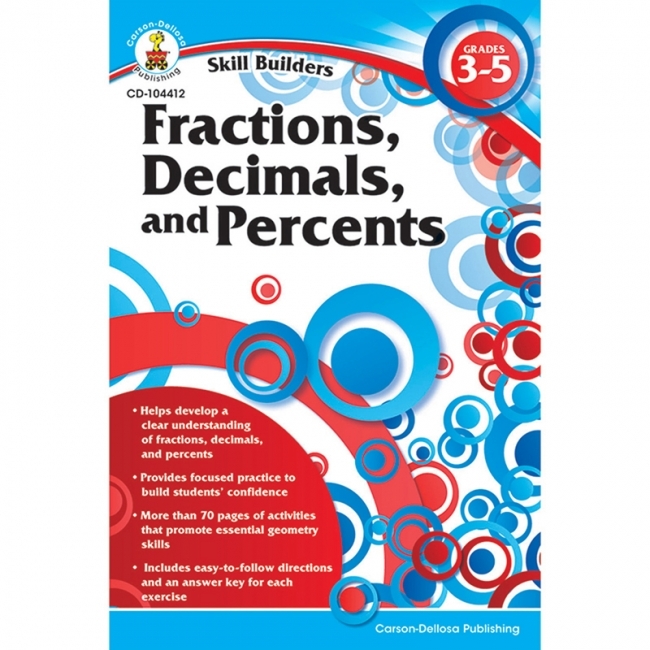 Enhance understanding of fractions, percents, decimals and equivalencies. Includes 9 unlabeled shapes representing 1 whole, 1/2, 1/3, 1/4, 1/5, 1/6, 1/8, 1/10 and 1/12. 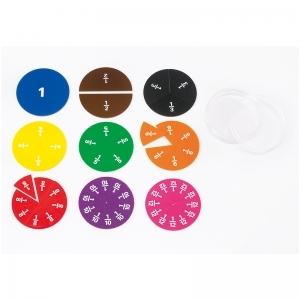 Whole circle measures 4" D. Ages 6 and up, Grades 1 and up.